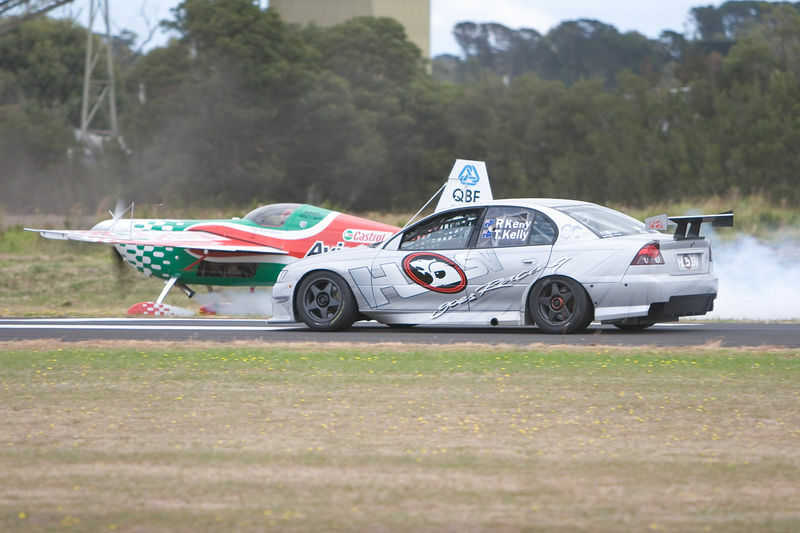 Pip Borrman's Castrol Aviator Edge 540 momentarily out-dragged Todd Kelly's V8 Supercar "thrill ride" Commodore. The car beat the aircraft in the first match race but Borrman challenged the Bathurst 1000 winner to a second duel and justice was done! When Todd had to brake at the end of runway 17, Pip flung the Edge 540 skywards. A thumb-the-nose sort of gesture... "You might have beaten me to the end of the strip but look what I can do."